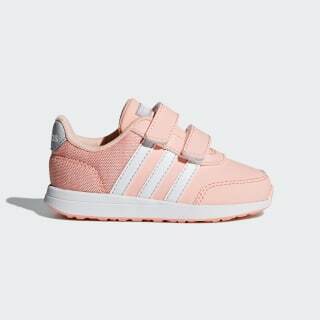 A sleek look for little feet. Running style for toddlers on the move. 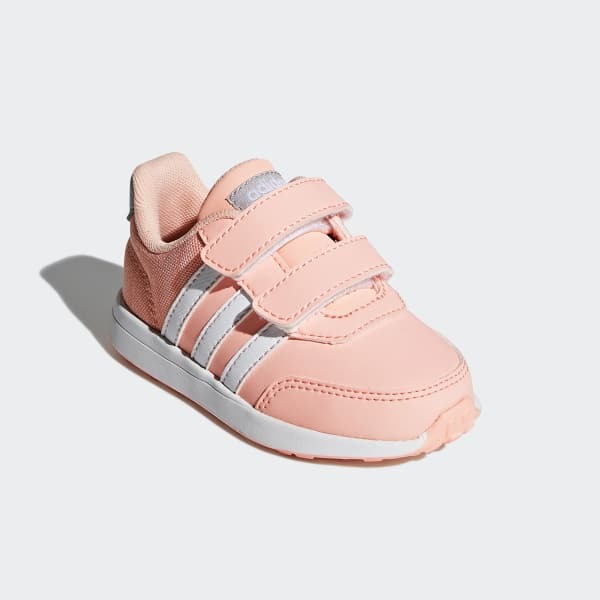 These toddlers' shoes have a nubuck-look upper with two-tone mesh accents and sporty 3-Stripes. The hook-and-loop closure makes it easy to strap them on and go.